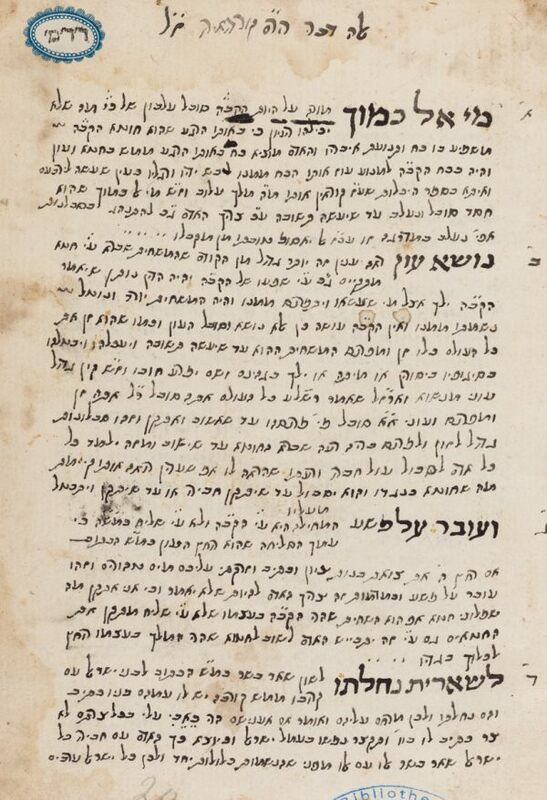 Kabbalistic treatise by Isaac Luria and some other kabalistic works, copied by Shabtay ben Jacob Hacohen, 1703.
f. 1r-3v: Sayings of Moses Cordovero. f. 6r-20v: Seder le-Dat ha-Ari, abstracts from Toledot ha-Ari. Published for the first time in Constantinople, 1530. Hebrew / Paper / 20,6 x 14,4 cm. /  ff. / Variety of lines to a page / Sephardic cursive writing with square headings / Title written in crudely drawn and decorated frame.